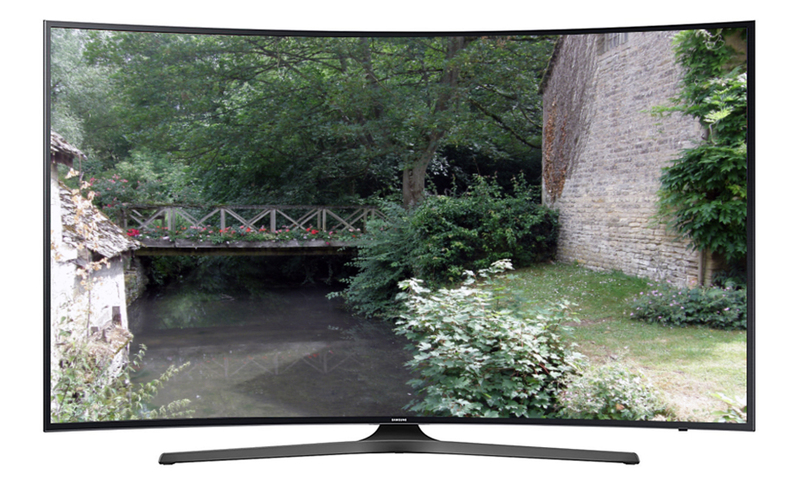 If you are interested in purchasing a new Samsung flat screen TV for your home – you are in the right place. Here you will find detailed 2017 Samsung TV reviews that can help you narrow down your choices and make the buying process go smoothly. By browsing the selection of the best Samsung TVs, available on this website, you will be able to find out more about the latest features, learn what screen sizes are available for each series, and weigh the pros and cons of each model to find the best Samsung TV for your own individual viewing habits. At first, please take a look at the all 2017 TVs. We’ve made a short summary for you, where you can see the main features of each model. Below the summary table, you will find our recommendations for the best Samsung TVs, which makes your choosing process quick and easy. 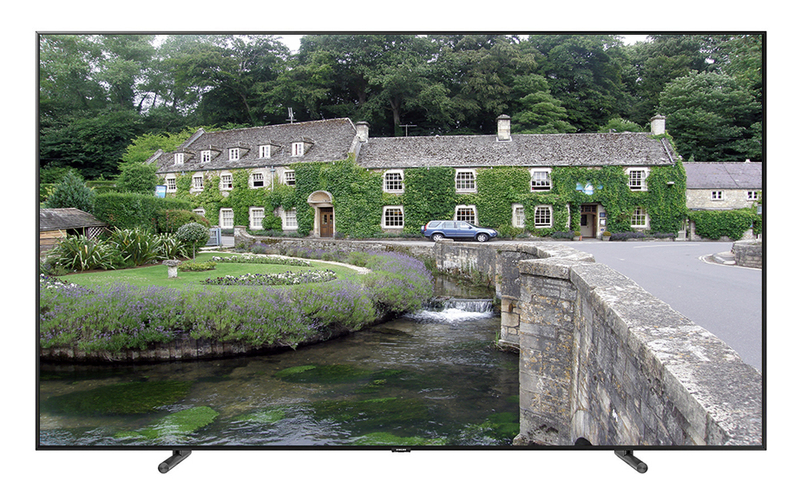 Just when you think Samsung can’t outdo itself in 4K Smart TV, they do! In Samsung’s objective of finding an alternative to the costlier LG OLED technology, which eliminates backlight panel and uses electric current to light the ‘dots’ or pixels of each color making the 4K screen resolution of superior quality and contrast, Samsung has come to create the QLED brand, using electric current also and also eliminating the backlight panel to illuminate billions of color pixels or ‘dots’ in a manufacturing process less costly and, of course, passing the savings to their consumer. This newest innovation in TV is called QLED TV or quantum dot technology. For purpose of brevity, it means that the pixels of color are broken down into ‘nano particles’ of color with light flowing through each particle to produce superior color volume in shadows, mid-tones, and highlights of color and an incredibly realistic color view! We won’t kid you; this TV may require a second mortgage on house. That said, the Q9F is a flat panel TV design in two screen choices of: 65 and 75 inches! Bright room, dark or average lit room the Q9F handles it all well – and rightly so! 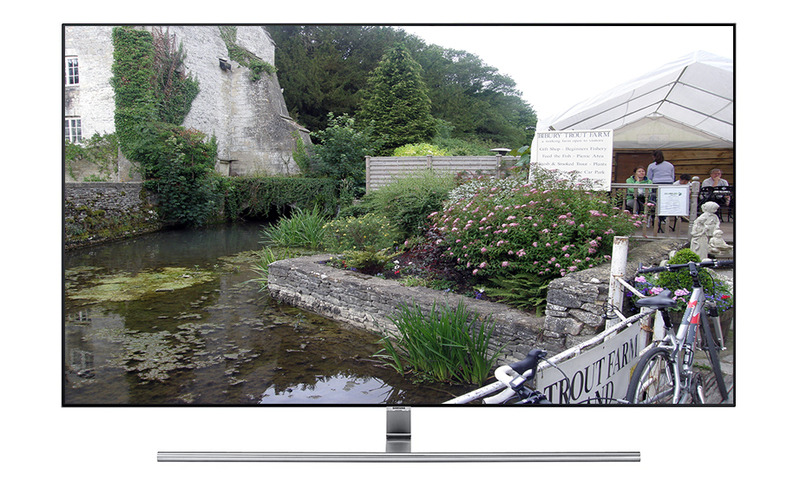 Ahhh – the Samsung premium TV: the MU8500! While the MU6500, MU7000, and MU7500 are the ‘standard’ Samsung models, the MU8500 is Samsung’s answer to premium TV without spending the hefty dollars that Samsung’s QLED TV or quantum dot technology would entail. In relation to the prices for quantum dot technology, the prices of the MU8500 curved panel TV models are rather ‘modest’ with respect to so much Samsung expertise! There two screen options, 55 inches and 65 inches. Samsung design experts call your attention to the 360 degree well thought out design, front-to-back, with sleek metal border and metal legs set wide for stability. You will absolutely love the technical component of Motion Rate 240, that builds on the native 120 Hz refresh rate to bring smooth image transmission with ‘little’ (if any) motion blur. The input lag time is low which will bring smiles to anyone who enjoys fast paced gaming. The all-important contrast ratio gets a big thumbs up – all thanks to 4K HDR Extreme! There also is a UHD Re-mastering Engine optimizing image detail in terms of contrast. The Re-mastering Engine will process image characteristics before they are displayed on the screen. The MU8500 is awesome value! This short summary of the 2017 Samsung 4K Smart TV model MU6500 rests with the understanding the MU6500 is one of several ‘series’ TVs of various price ranges. 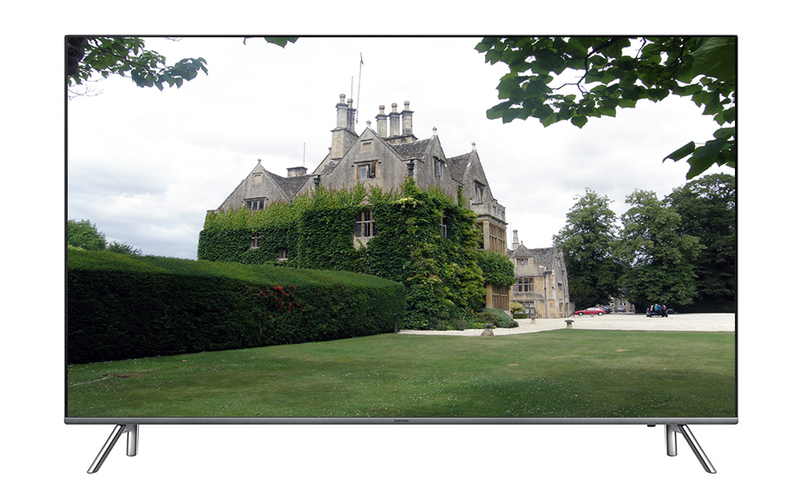 With the MU6500 TV models, of 49, 55, and 65 inches, the technology behind each screen size remains same. This takes the ‘sweat’ from the consumer’s brow as they find ideal price that fits their budget, comparing the technology with that targeted budget. 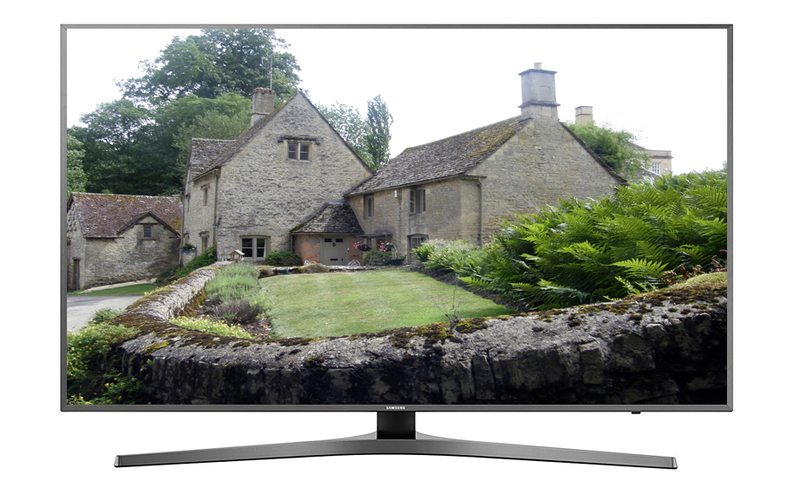 With the MU TV series, you might find your budget price in any Samsung model series: 6000s, 7000s, 8000s, or premium 9000 series – dependent on screen size, flat, or curved screen. The MU6500 TVs are priced amazingly low for 4K Smart TV even as tech features are amazingly high and luxury — with curved screen that brings viewers to a panoramic viewing of scenes. The MU6500 is a ‘step up’ from HD LED to the experience of 4K! – Ultra High Definition visual sharpness of screen resolution and aided by HDR Pro, (high dynamic range) color, 4K Color Drive, with Auto Depth Enhancer, and Essential Black Pro to bring excellent contrast and brightness. Motion Rate 120 builds upon a native 60 Hz processor that reduces motion blur in fast action scenes. The MU7000 is part of the series 7 TV models, which is one of several Samsung ‘series’ TVs in various price ranges of either flat or curved screen. 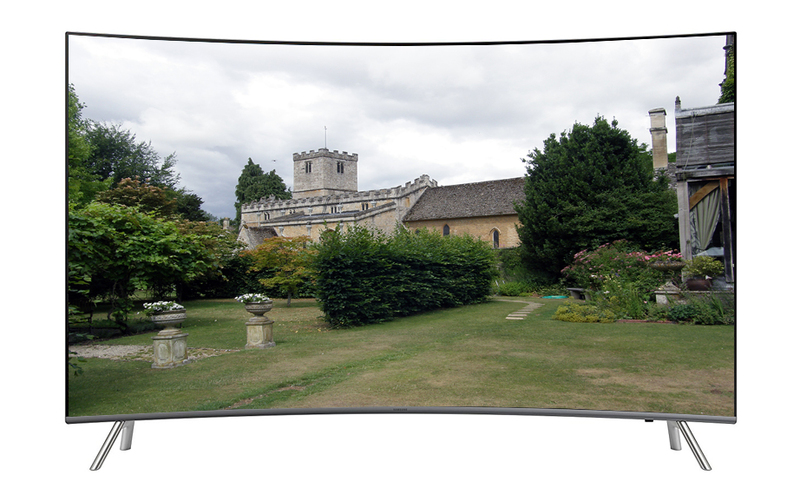 The MU7000 is a flat panel TV in comparison to the MU7500 TV which is of curved screen. With the flat panel MU7000, consumers have abundance in screen options with 40, 49, 55, and 65-inch screens while the MU7500 curved screen has only three screen choices of 49, 55, and 65-inches. Just as the MU6500 model is a step up from HD LED, the MU7000 is another step up to luxury 4K TV viewing. The step up is found with the general ‘look’ – what Samsung calls 360-degree design. Front-to-back aesthetically beautiful from the stand that departs from the standard black plastic to that of silver metallic-like color and the thin frame border of silver metal that adds extra shine to the tech features. The native contrast ratio is excellent with wide color gamut of shades of color. Image motion flow, unfortunately, will bring a bit of blur with fast action, but the UHD up scaling of lower resolution content along with the Tizen operating system and Smart Hub bring abundant content streaming. Take another step up to the sharp picture clarity that a 4K-quality screen resolution brings with the Samsung MU7500 curved panel TVs in 49, 55, and 65-inch screens. 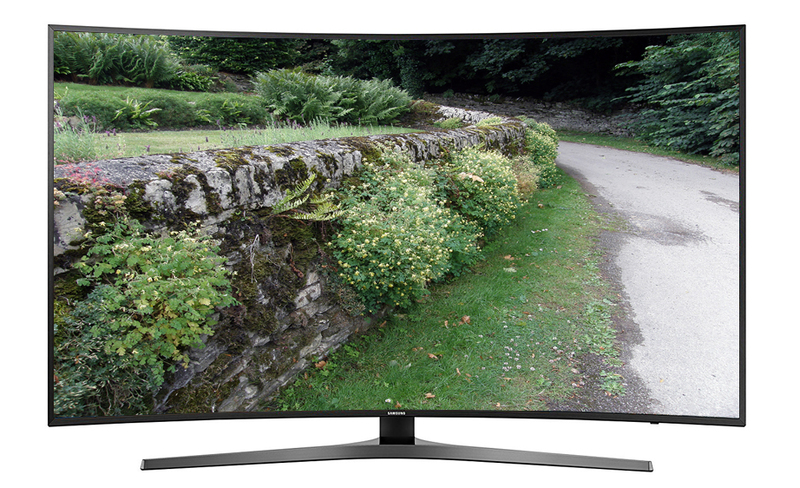 Logically, a 40-inch TV, as is found with the MU7000, would be difficult to put to a curve. 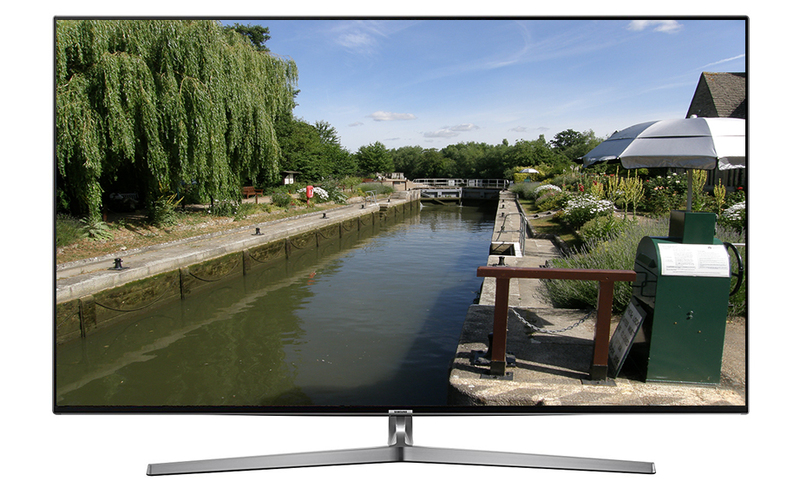 In terms of the technical components, the Samsung MU7500 models are the same as Samsung’s MU7000 flat panel TVs. The MU7500 comes with same thin metal border and sturdy, silver metallic – like color stand as the MU7000 flat panel TVs and with that and the curved screened — will give a look of distinction to your room décor. The stand is sturdy for the table but easily mounts flush to wall. In terms of the MU7500 color display, the all important color contrast, black uniformity, is rated quite well. This due to such tech features as 4K Color Drive Pro, 4K HDR Pro, (high dynamic range color) Essential Black Pro and Auto Depth Enhancer. The difference in price between the flat panel MU7000 and curved panel MU7500 is so miniscule that it would make sense, to us, to enjoy the luxurious curved screen that provides a panoramic view of sport games, movies, and gaming. What can we say that hasn’t already been said of the latest 2017 Samsung MU series of TVs that allow for consumers to shop screen size and technology with respect to price, bringing more to upgrade from HD LED to the latest trend of 4K Smart TV? What more can be stated of the stunning color contrast with respect to price, the richness of depth of black level retained even when viewed in dark room settings or with darker scenes displayed, the fast response time otherwise called motion control of number of frames per second that flow smoothly to screen without blur or minimal blur and without any ‘judder’ in lower resolution images as is sometimes experienced in older movie content. No matter the level of TV series — the SAMSUNG ‘brand’ of technical expertise stands out as quality Smart TV. OK, If you want specifics of the MU9000, there are two flat panel screen sizes of fifty-five and sixty-five inches, a Motion Rate 240 Hz image refresh rate built to the native 120 Hz processor that makes blur of action packed sporting games non-existent, wide color gamut of shades of color, and excellent contrast ratio. What more can we say? Why is it hard to find any information on Samsung tv series KU6290 that Costco sells? Would you recommend the 78 KS9800 or the 75 in QLED for a bright room. Why does Mu8000 review have an 8.0 rating but yet everything I have read shows Mu8000 and Mu9000 are basically the same. Meaning Mu9000 is not worth the price difference.